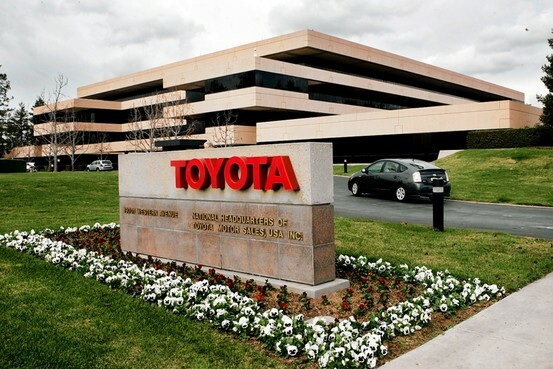 Toyota Motor Corp. 7203.TO -0.38% is starting a multiyear overhaul of its North American operations, consolidating several units at new headquarters in Plano, Texas, that will house 4,000 employees now spread across separate marketing, manufacturing and finance locations. The moves disclosed on Monday will be the most significant changes in decades to the way the world's largest auto maker does business in its single biggest market. The decision also has political and economic repercussions for the states of California, which will lose as many as 3,000 jobs, and Texas, which will gain roughly 4,000 jobs. Jim Lentz, chief executive of Toyota's North American operations, said the decision to consolidate in the Dallas suburb stemmed from conversations he had with Toyota CEO Akio Toyoda about a year ago, soon after Mr. Lentz got his current job. Toyota's current sales and marketing unit headquarters in Torrance, Calif., was too far from the auto maker's factories in Kentucky, Indiana, Mississippi and Texas and from its engineering center in Ann Arbor, Mich., Mr. Lentz said. Erlanger, Ky., where Toyota's North American manufacturing operations are now based, was too small, he said. Toyota narrowed its preferred locations to Denver, Atlanta and Charlotte, N.C., before choosing the Dallas-Plano area, a person familiar with the matter said. Real-estate firm Jones Lang LaSalle JLL -0.56% handled the search. "We weren't pursued by Texas," Mr. Lentz said. "It isn't a Texas versus California discussion." California's business climate and costs of living have become sensitive topics in the state, especially in light of Texas Gov. Rick Perry's efforts to woo employers from the Golden State with promises of lighter regulation and lower taxes.